Walking on Eastern Parkway. Illustration Photo. 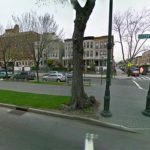 A Jewish woman was suddenly and unprovokedly accosted by woman who grabbed her wig off her head and shouted an anti-Semitic expletive at her, while she was walking on Eastern Parkway. The incident occurred on Monday afternoon at around 2:30pm on Eastern Parkway near Albany Avenue. The victim, a 62-year-old Jewish woman, was accosted by a woman who grabbed and pulled off her wig while yelling expletives at her. “You f***ing Jew” she yelled, in a completely unprovoked attack, then pulled her wig off and walked away with it. The victim, who cannot see very well, walked into the police precinct a while later to report the crime but could not provide specific details about the perpetrator. “I was walking and suddenly she was standing in front of me and yelling” the victim said, describing the attacker as a woman but unable to provide other details. “The incident is being treated as a possible bias crime and will be investigated by the hate crimes task force” a police source said, adding that a search for surveillance footage is currently ongoing. Shomrim volunteers were seen assisting in the search. Are we going to have another press conference? Ho wait, we can’t bash of blame President Trump for this one, never mind, nothing to see here. These left wingers WILL blame Trump… he created a climate of hate. Just wait. Personally, I think PETA will blame Kappores. As a possible? Are the nypd insane? If it’s being investigated by the hate crimes task force then why is the police calling it a “bias crime”? I’m biased towards blue. So I think I’ll attack someone who is wearing orange. This poor soul was assaulted for being a Jew. It is obviously a hate crime. What are you on about? A bias crime is a hate crime. They’re both awful terms for a crime motivated by one of a list of specified reasons. If the victim was a Muslim women, and the attacker pulled off her Hijab, it would be all over the news. Two summers ago black teenage girls tried to pull my wig hair/wig. Thano Gd a lunatic guy was nearbye and helped get them leave c me and my kids alone. All those cameras and people. And no one saw anything in broad daylight in the afternoon?! Our women and the elderly are beaten on the CH streets. What are we waiting for? who can protect us? Only we ourselves. We should start educating our boys self-defense in Yeshivas. why don’t their leaders do something, like help them, talk with them, help them get a life. hate seeps in when there is emptiness or need. as I said, their leaders need to do something to help them get a life. Why don’t OUR “leaders” do something to protect our community from these thugs? If there isn’t a press opportunity, they don’t do squat. The only one I ever saw who actually tried to help this neighborhood without fanfare was Berel Sugar & I think he got burned out & disillusioned. We need people with his determination and humility who aren’t looking for a photo shoot. FTR I am not related to Mr. Sugar in any way & I am certain he wouldn’t know who I am. It says this hooligan left WITH this lady’s shaitel. That is a theft of hundreds to thousands of dollars. I doubt she has that kind of money laying around. Why don’t we make a gofundme so she can buy a new shaitel? useless NYPD, now the JCRC people who live in Riverdale and have no shichus to our community will have a press conference in the jewish childrens museum saying we are united more than ever and then go home to their non-diverse Riverdale. 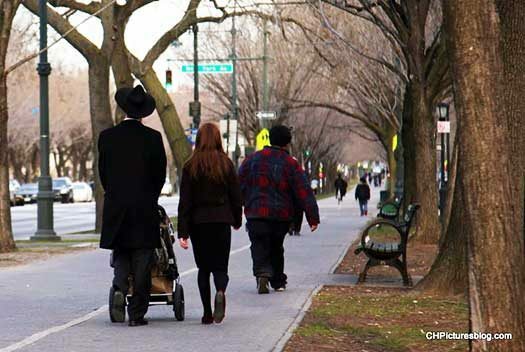 The Jewish community should see that no one especially elders and kinders go out alone. Especially if you cant see.